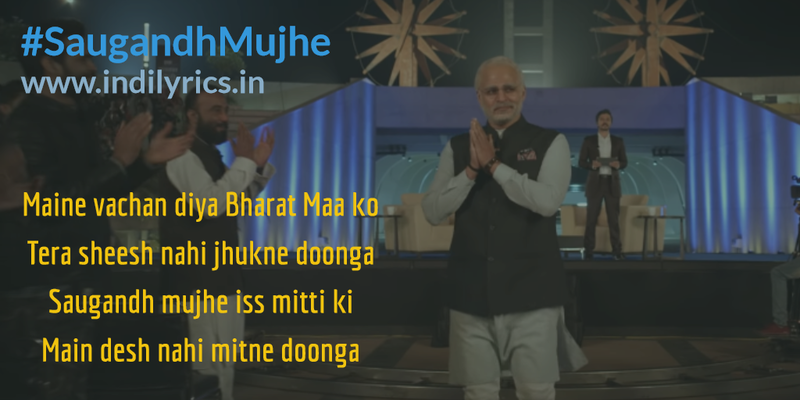 Saugandh Mujhe Iss Mitti Ki Full Song Lyrics with English Translation and Real Meaning Explanation from upcoming Biopic movie PM Narendra Modi, this patriotic hindi song has been composed by Shashi-khushi and penned by Prasoon Joshi, Sukhwinder Singh & Shashi Suman sang this song, the music is available on T-Series. The audio mp3 version of Saugandh Mujhe Iss Mitti Ki from PM Narendra Modi movie is free to download from Gaana, Wynk, JioSaavn and other online music portals. Vivek Oberoi is acting in the lead role to portray the epic journey of our nation’s Prime Minister. When would you pay your debt to me? When would you fulfill your duty?